Ramsbottom Fire Station currently have two standard B Type fire appliances which are crewed by Day Manning and Retained Firefighters. 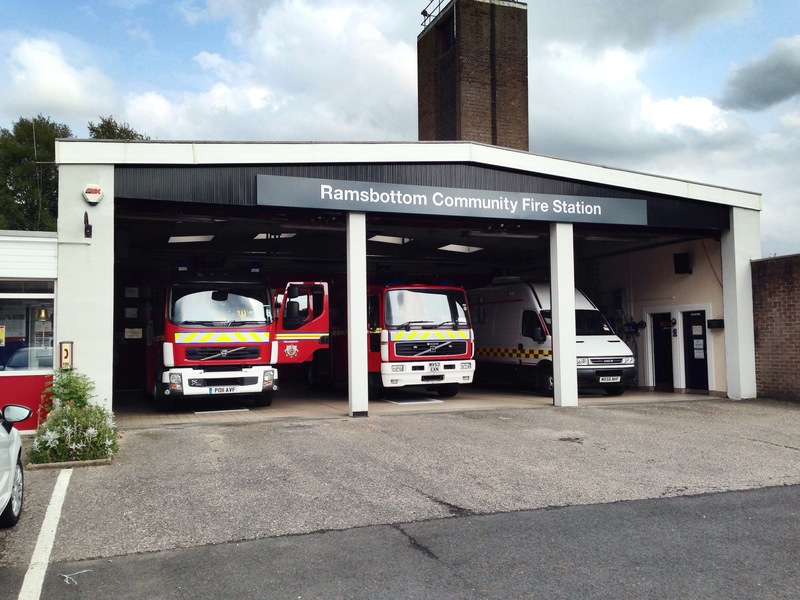 From the 1st of April this will change to Nucleus Manning and Ramsbottom will become one appliance with the second appliance being a strategic reserve. 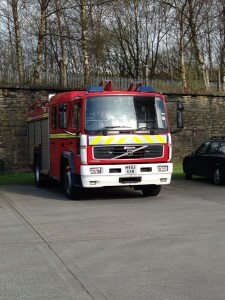 This appliance is a Volvo FL250 with Saxon bodywork. This appliance has a Godiva pump that can pump 4,500 litres per minute and a 1,800 litre water tank. This appliance was registered on 5th November 2003 and is powered by Volvo’s D6B 180-250 hp, six-cylinder turbocharged intercooled diesel engine with a displacement of 5.5L and have a Allison automatic gearbox. This appliance was originally based at Altrincham Fire Station before moving here. This appliance was originally based at Chadderton Fire Station before moving here.